Please visit https://sites.google.com/site/iitrreunion2012/home for updated information. Hersh Kumar takes pride in creating one of the finest education systems that is benefiting thousands of children in India and USA. He started a charity foundation with his personal commitment of $20M to help the poor children in India. He is a graduate of IIT Roorkee (gold medalist, ’78) and a postgraduate (’82) of Wayne State University in Michigan. He lives in Houston suburb with his wife Rita Kumar and two children, Shipra and Akshay. 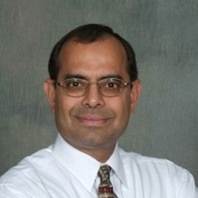 Pervinder Johar is Executive Vice President and Chief Technology Officer, Products & Technology, at CCC Information Services. Pervinder is responsible for CCC's technology strategy, product research and development, information technology and data center operations. His focus has been leading business and IT transformation efforts for financial services, retail, and high-tech industries. Some of his pioneering work includes development of Global Straight Through Processing (GSTP) systems ... at State Street Bank, the development of asset allocation and financial planning products at Fidelity Investments, and the development of end-to-end logistics platforms for some of the world's largest retailers. He served as Vice President of Global IT at Hewlett Packard, where he led global HP supply chain transformation efforts with a focus on process and systems standardization. He served as Chief Technology Officer of Manhattan Associates Inc. from 2003 to January 15, 2009. He served as Executive Vice President of Global Research & Development of Manhattan Associates Inc. from January 2008 to January 15, 2009. He was responsible for all of Manhattan Associates Inc. Research and Development Activities. He served as Senior Vice President of Development and Services for Transportation of Manhattan Associates Inc. from January 2005 to January 2008. He joined Manhattan Associates in January 2003. At HP, he led the development of market leading supply chain software solutions. He served as Senior vice president of Logistics.com from 2000 to 2002 and led the re-vamping of Logistics.com's transportation management, financial supply chain systems, business banking and management of electronic channels for the financial services industry. From 1999 to 2000, Pervinder served as Chief technology officer and Senior Vice President of product and development for Politzer & Haney. From 1997 to 1999, he served as Vice President of Financial Transaction Management Development for State Street Corporation. 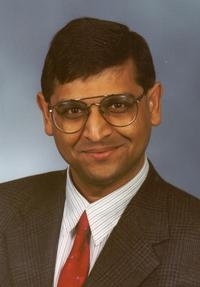 Pervinder holds an MBA from Boston University, a Master's degree (M.S) in Computer Science from Villanova University and a Bachelors of Science degree in Computer Engineering from the Indian Institute of Technology, Rookie. Prior to this, Ray was the CEO of R Squared, Inc., a manufacturing business with plants in Illinois, Mississippi and Mexico with the focus on acquiring and consolidating OEM component suppliers in the industrial/commercial markets.